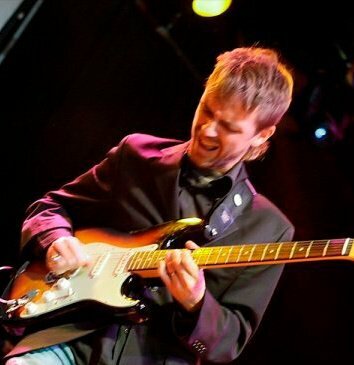 Garrin Benfield embodies music with every note he plays – whether slow ballad, improvisational jam or Rock & Blues, Garrin feels the energy with a passion and intensity like no other. It’s as if he and the music become interlocked and well-connected as soon as the curtain comes up. There isn’t any doubt that Garrin can command an audience on his own or lead a full-band with ease. If you have seen Garrin play, you know his style and the loyal followers who grace his presence at every show. Much of his live act contains “looping” which adds to the performance and creates a masterful production even though he’s all alone. Songs are different in the live setting – they each take on a uniqueness and carry the listener on a journey from beginning to end. 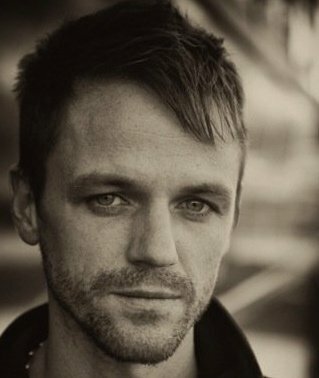 At first glance, Garrin has the appearance of a Broadway actor – handsome, well defined, charismatic and charming. He’s also easy to talk to and a rock star in the simplest sense of the word. Living on both coasts and playing over 100 shows a year, Garrin has made a name for himself in and around the San Francisco bay area. He’s also gained attention in New York, deep in heart of Greenwich Village. Garrin knows exactly what he wants in life and isn’t afraid to go after his goals. It shows in his music and the albums he creates. Garrin’s latest release, The Wave Organ Song is a 13-song compilation that you’d want to hear on a Sunday morning, sipping coffee, reflecting on life and watching the day take shape. Originally produced with a full band, Garrin then decided to change it up and only record with himself on guitar. Something inside made him slam on the brakes, revert back to simplicity and create a vulnerability on this well-executed album. Recorded and mixed by Michael Rodriguez, the credits also include Jason Durant, Garrin’s life partner. Buy the CD and notice the recycled, earth friendly jacket – proof that Garrin is remaining true to his “keep it simple” outlook in the present day. The first song, Moanin' Low is soft and sincere, sometimes at the level of a whisper. We get the sense that Garrin has peeled the onion of life, is reflecting on someone and their place in the world. “This road I’m on/It’s long and lonely/My heart's gone cold/Without you I'm only/ Moanin' Low and kickin’ stones/Without direction I’ve got no compass/No place to rest my bones”. In the song No Compass, ironically we hear an introduction like Bob Segar’s Night Moves – with that solo guitar that begins the song. But, in this one Garrin’s eloquent voice begins and takes us in a different direction. No Compass is one of my favorite songs on the album. Garrin says, “I’ve got no will/I’ve got no conscience/I’ve Got No Way Home/I’ve Got No Compass/I’m Coming Home”. The third track Rock n’Roll is a medium tempo ballad which reminds me of a late autumn day. This song shows Garrin’s amazing writing skills as a poet and storyteller. He’s able to create images with his prose and could sing beautiful lullaby’s all night long. Walkin’ Time Blues is similar in meter, tone and volume level to the previous tracks, but, this one has a bounce to it. We’re reminded in this song that it’s just Garrin and his guitar creating the music we all have grown to love. For most of this album, Garrin shows us a musician’s innermost feelings and emotions. This is definitely a stripped down production and the bare essence of a person that is committed to the musical process. The last song, a cover of Alex Chilton’s Thirteen is so well done and could easily be played on mainstream radio. This track is a perfect culmination to an album that deserves a lot of credit and accolades. For those listeners who need a full sound and backing band, listen to Garrin’s album Where Joy Kills Sorrow. And my favorite album, Nowhere is Brighter has a mixture of songs with different sounds and styles. Garrin and I met recently in his San Francisco apartment about his life as a full-time musician, his experiences with The Grateful Dead and where he has come to this point of his life. Look for Garrin’s 2012 tour schedule and upcoming studio releases – they are sure to impress and touch the hearts to those who want to listen. You are currently in the middle of a string of shows. What’s the last week been like for you in terms of audience feedback and energy in the rooms? Every week is so different. The only thing you can count on when you play every night is that each gig will be completely different. For instance, last night I played a place called Madrone, on Fell and Divisidero in San Francisco. It’s a cool spot because it’s really central – people can walk by and just come in. That's a nice feature of some venues. They see you're playing and can come in off the street - whereas other places you need a built in crowd or the band has to bring people. I sometimes have a hard time remembering where I'm playing from week to week. People ask me, “Where are you playing tomorrow” and I always draw a blank. I should have it written on my hand. For the next couple days, I am involved with The Africa Project which has been occupying some of my time. Dolores Park Café last Friday was really great. I like playing venues where you bring in 50 to 100 people and you've got a sell-out show. I would rather play there than a larger hall that's half-empty. 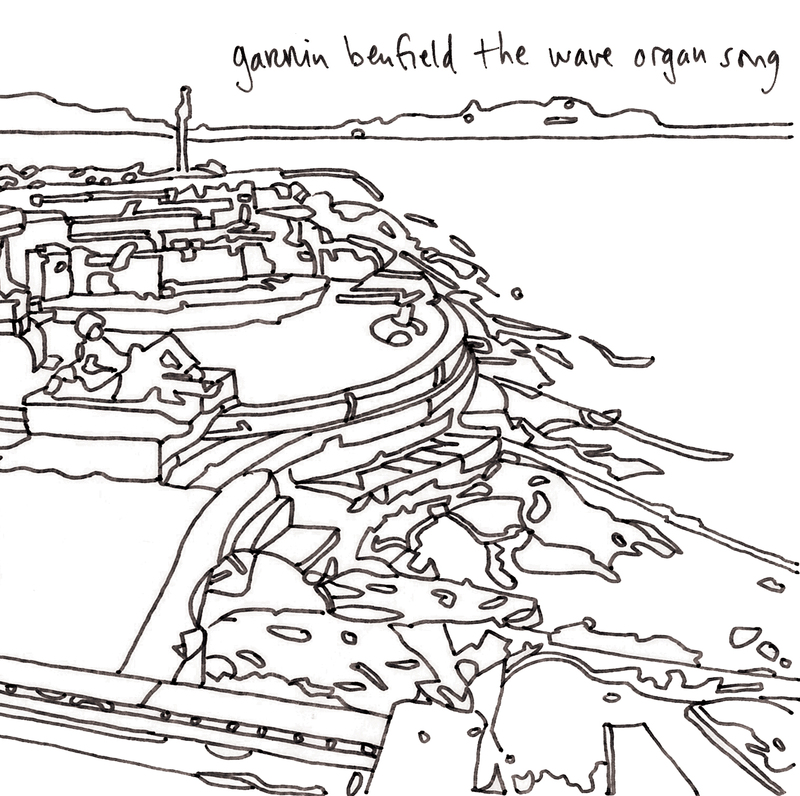 Your latest album “The Wave Organ Song”, what was the process like for that and how did it flow? Was it a labor of love? Talk about that experience. First off, the main difference was that I was working with my partner on the lyrics and some of the overall song writing. I had never done that before and it was a collaborative effort right from the beginning. We demo’d the songs, just him and I on our laptop. Then the intention was to bring it into my friend Ricky Fataar’s studio in Berkeley to do full-band versions. We recorded me playing live with drums and then I added bass parts. Listening back to it, I really wanted to present this material in the right way. Just by chance we recorded some solo versions of the songs when we were setting up mics. We liked those enough that we put the brakes on and decided to try a different approach. Now, as a result, we have the alternate full-band takes to expose to the universe when the time comes. Sometimes you take a left turn in the recording process and decide to just move on and get over it. Then some time goes by and you realize a lot of the first approach was pretty good too. Sometime after those sessions I moved to New York and had my engineer and co-producer come out there to set up a mobile studio in my apartment. We re-recorded everything, just me and guitar, live with no overdubs. The cover, “Thirteen” by Alex Chilton, how did you come to him and the song? He passed away recently. That was entirely coincidental. For years, I had been hearing about his primary band Big Star. They tended to get a lot of attention in the Indie music press. I finally got a Big Star collection and that one just jumped right out at me. “Thirteen” is really different than the other tracks on the album. Subsequently, I found out that Elliot Smith recorded the song as well. People in the audience have come up to me and said, “I really like that Elliot Smith tune”. Actually, a bunch of people have taken an interest in that one. It's just a really graceful tune. I heard you mention the word Indie. For me, it represents individuality, a European backbone and a do-it-yourself way to do things in the music business. Talk about what that means to you. The last thing you said is what comes to my mind right away, the “DIY” thing. In other words, determining the outcome of your own career or determining the substance of your music. It’s come to have an association with a raw, East Village thing. But, to me it’s more about the process than the product. Aesthetically, I guess the sound sometimes is more “low-fi” as opposed to a highly produced, overworked product. So many records are being made in people’s living rooms these days. Boz Scaggs, how did you come to him and what lead you to go on tour with his band? He owns a studio in San Francisco and my first album was recorded there back in 2000. I met his audio engineer and through him was invited to record at that facility. So, after getting to know each other, Boz invited me to go on tour a couple times opening up for him. On my second album, he came and played a nice little blues solo on a song. He was totally supportive of what I was doing and it was a nice way to start out in the bay area music scene. The first tour with him I had a full band, one was with a piano player, Jeremy Mage, and one was a duo with an upright bass player, Joshua Zucker. The last time I opened for Boz was totally solo which is the trajectory of my life and the way it’s been working out these days – scaling back to simplicity. You’ve been on both coasts, talk about the audiences appreciation to your music, the vibe and energy in the rooms. For me, it’s less regional and more about small towns versus big cities. I just find that the energy in little places, which I do a lot of, is just great. Crowds really soak it up. And they are so happy you came. It's just a more gratifying experience than people standing around with their arms crossed at some urban gigs. You have pockets of good people everywhere, but, I play these little towns in Vermont and New Hampshire. Sometimes, their response is, “What are you doing here?”. It seems like you have everything going for you right now, recording albums, gigging all the time. But, are you yearning for more? What is missing in your great life right now? I’ve become more comfortable lately being a working musician. I have let go of the idea that I'm going to be the Beatles. And now I am able to cobble together a living doing this independently. I take that seriously because there are a lot of people who would like to do what I’m doing. It’s taken some time to get adjusted with that over the years. You know how it is, constantly feeling like maybe you are on the cusp of something big in this business. And then it doesn’t always play out the way you expect. But, I have chosen to keep moving and be positive. That’s what I am trying to do right now, working on keeping the momentum going and trying to have faith in what I do. Let’s say in a few years you are playing to 5000 people. Who is in the audience? I am trying to figure out what kind of person is there to see Garrin Benfield. The demographics have been interesting because I have the singer-songwriter crowd who comes out to see me as well as some more old-school folkies. Last night anyone there that didn’t look hip and looked like they were too old to be in that bar were probably there to see me. 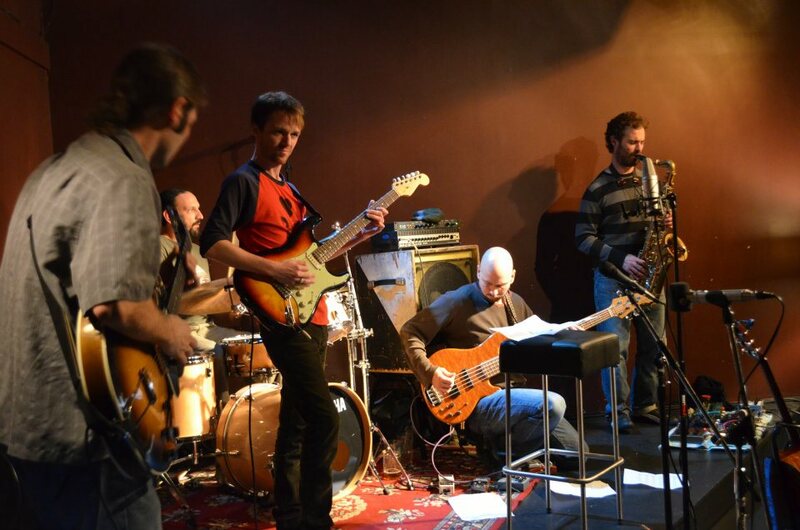 Also, some jam-banders know about me and my background with improvisation and may have encountered me at some of the festivals that I've played. Over the years, I have allowed that influence to come to the surface more. I also have the gay crowd which has been pretty loyal, so it’s been a big mix of people all checking each other out at my shows. 1987 was your first Dead show. What was that like, were you intimidated? Or was it really blissful? First of all, I was only 14 at the time, but I needed to be there. My parents were perhaps a bit over protective of me because I looked real young. When I was 14, I looked 6. I lobbied my dad to go to the show and after a while he gave in, but under the condition that he went with me. Then I had to think about it and whether I was making the right decision. When you're that age, the last thing you're looking for is for your parents to take you to see Jerry. Long story short, we went with my brother who had followed the Dead in the early ‘80s. We went and it was this phenomenal life-changing experience. My dad ended up loving it too. He brought ear plugs but they never made it out of his pocket. That show set a course for me and definitely altered my life forever. It seems like you are a multi-instrumentalist and have a good background of music. I play the guitar, bass and can plunk around on piano a bit. Actually, I spent years as a bass player in the early to mid ‘90s with my college band. For some reason, I played a 5-string fretless bass and that was with the first band I was with. My feeling was, “If I am going to play bass, I might as well get one with the most strings and no frets”. Listening to those really early tapes with everything a half-step out of tune is a little horrifying. The song “Another Hour To Kill” really resonated well. What was that about and how often is it in the repertoire? It’s about road tripping around northern California in the summertime. I used to play it all the time with the band because it would open up into this nice jam at the end. For some reason, it has fallen by the wayside a bit. These days though I am playing primarily solo, getting into a more spacious vibe and not feeling so much show-biz pressure to vary tempos. It’s like I'm asking the audience to meet me halfway. People come in and the mood can be a little over anxious and I have to respond with, “Settle down, we're in a different space now”. We have a little push and pull so to speak. What about 2012? What’s planned and where are you headed? I'm playing about 100 shows a year and would love to keep that up. Jason my partner and I are still writing tunes together. We hope to get another album out, but it probably won't be as stripped down – I'm guessing it will include some more instrumental textures. I’d love to return to some of the summer festivals I've played, too. This weekend you are playing with the Africa Project. Yes, it's been a great experience. Then, Sunday I am playing a solo show at a little venue on 21st and Valencia. It’s a high-end, thrifty boutique with a music venue downstairs. If you could step onstage with any musician alive or dead, who would that be? Alive, I would say Phil and Bobby. I love all the original members of the Grateful Dead in terms of their individual styles. If you said to me, “Who is your favorite guitarist?” Or “Who is your favorite rhythm guitarist?” "Bassist?" They all just occupy that for me. They're all so incredibly unique. Have a great weekend and good luck with the upcoming shows.